Back in 2010, I figured I had my city council vote figured out when Dave Bronconnier decided not to run again. I was quite frustrated with what seemed to be constant fighting between the aldermen (as they were known at the time) and my sense that city council was lost in the wilderness and not accomplishing what it should. There was one guy on city council that stood out to me: his nickname was “Dr. No” and I thought he would be the guy with the fortitude to end the bickering and get things back on track. Until the time when I thought of the “street festival” guy opposed a street festival that didn’t match his parameters. It turned me off when he qualified what made a good street festival strictly to his own standards and divisively diminished a festival I thought was pretty neat. The harder I looked, the more our views diverged, so I decided to look at my other choices. To make a very long story short, I made an alternative choice, got behind him early enough to campaign, and got to participate in seeing this guy who was barely on the radar become the mayor I’m still proud to support. A lot has changed in seven years; I’ve become involved in different ways, I’ve met a lot of great people along the way and got a very different perspective on how the city actually operates (and needs to operate!) in order to function. I’ll write on the mayoral side of things in a week. This week I’m focusing on the councillors. Snap forward to 2017. A continual theme I’m hearing again is that city hall is dysfunctional - AGAIN. It’s not a small concern, it costs every one of us when we don’t have representatives working collegially and effectively together. I have no particular insight into how big or how small the issue is now, but this was my concern in 2010 and remains my concern today. One thing I’ve heard often is a Calgarian from any given part of the city claiming their councillor is not the problem; it’s always some particular other councillor from the other side of the city. Some of this rang true to me: I didn’t love my councillor, nor did I outright dislike him. However I hold very strong opinions of some councillors in other wards. The difference is I don’t have to work with them every day. Our councillors must work together better. I’m aiming to make two points today: How I think we can help as voters, and second what I hope from my councillor. First, Calgary is a big city. We are well beyond our small city status and we absolutely need to acknowledge that the city continues to change as it’s grown. Some of us are four-generation Calgarians whose great-grandparents rode across the prairie to settle here. Some of us just arrived looking for a home safe from war and literal chemical weapons. Who we are and the way we all live differs here, in the very same city. That diversity is very much our strength. This is a city wide enough for us all to live here, with enough opportunity for all of us. There are Calgarians much more exceptional than me that come from every single corner of this city. Our city hall needs to be big enough to allow a voice be heard from everywhere. But it could be more receptive to each of our needs along the way. The challenges of inner-city life are very different from a new community in the suburbs. My back alley is unpaved, and was likely built 100 years without a proper base ever being laid. It cannot be graded frequently enough to prevent massive potholes forming. Fixing that will be expensive, time consuming, and a hard sell in this neighbourhood. On the other hand, my commute to downtown takes somewhere between 20 and 35 minutes and I have four good, convenient choices of how I’d like to get there. Or how about a more topical issue: Green carts were just delivered to our neighbourhood. I live in a four-plex. We now have 12 different carts to line up along the alley. Seriously! This is just six of them, we can’t fit all of them in. And here’s a picture of how much garbage I generate over two weeks. This is crazy! Now in all fairness, most of my waste consists of glass jars, tin cans, cardboard or plastic that goes into the blue recycle bin. But any organic matter will be coming out of that half-bag of trash - it would take me a full six months before the garbage man would even consider stopping for me! Even if I didn’t compost (which I do). And I have to pay full freight for a service from which I will barely benefit. I’m not getting a discount because I throw out so little. It’s fact: City Council has to make these decisions. They must balance the cost of pickup, the cost of expanding or replacing landfill sites, the cost of waste management (including mass composting), the cost of trucks, maintenance, and staffing to remove garbage. That was not going to be an easy choice. I personally am getting screwed over by the green carts. I simply don’t create enough waste and will never get fair return for what it will cost me, and no, I’m not happy about it. But if your thoughts simply end there, you’ve entirely missed the bigger picture. It would be utterly irresponsible and insane to continue to buy new farmland on the perimeter of Calgary in order to build new landfills. Also, there are people in the city who need the green cart service desperately who generate more organic waste than they could ever compost. Our capability to compost more items when we pool our organic waste increases with the volume, as we can use better equipment to compost bones and dog waste I cannot compost safely at home. Less goes into our dumps, extending their lifespan. I may be overpaying for what I get, but overall this is a good thing for Calgary. 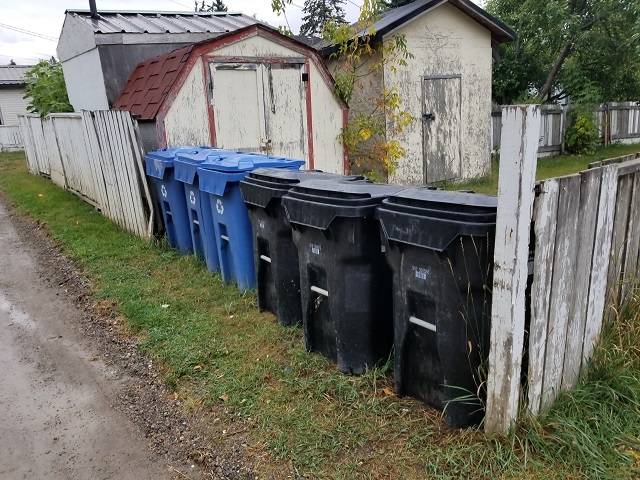 We need people in city hall that can spot that when I’m getting a raw deal on green carts, I at the very least deserve consideration to getting the back alley where those carts are sitting fixed to modern standards so my car doesn’t get rattled apart every time I drive down it. So now is the time where we, the citizens, have our opportunity to try to fix the jam at City Hall. Maybe you can’t fight City Hall, but there are precious moments in time when you can fix it - if only a little, for a short period of time. This is the time to grill your candidates. If your candidates only complain about sky-high taxes, it’s time to press that candidate on the services that matter to you. Don’t forget to mention the services that don’t matter to you, too. 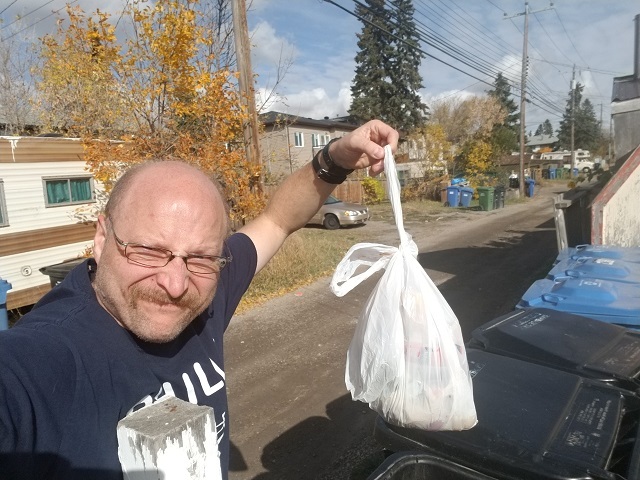 If your candidates have grandiose plans about residential snow clearing or new yellow carts for your oil collection or building a new manicured park and pathway along your front yard, it’s time to press them about how they’ll fund it and how their ideas will benefit us, as Calgarians, as a whole. Every single candidate that gets elected to City Hall this year should be able to recognize inner city and suburban issues and be able to speak coherently on real issues for Calgarians regardless of the ward they come from. They need to be able to understand facts presented to them, and to be able to communicate both what those facts mean to them and to their constituents. It would be fantastic for every councillor to be able to separate themselves from their ward and be capable of empathizing the opposing position. It would be over-the-moon fantastic to have all councillors speak respectfully towards one another, but I fear I carry myself away. Please, please think carefully when you vote for city councillor this year. And please consider adding another criterion to your decision process: How well will each candidate work with City Council at large? Will that candidate add productively to the debate or will the candidate behave with immaturity and intolerance? Can that candidate speak to you clearly, does the candidate baffle you with B.S. or does the candidate simply insult and degrade any opinion that varies from his or her own? Most of you can stop reading here. The remainder is applicable for Ward 9 residents. With the shuffling of boundaries, my neighbourhood was moved to Ward 9, and I am truly ecstatic about it. I was on-board from even before the change was official and I’m optimistic again to live in my neighbourhood. There’s not much mystery here, Gian-Carlo Carra has been my favourite councillor for years. I see him as a highly productive, highly knowledgeable member of council. We both hosted Jane’s Walks, on attending his I got a glimpse of his expertise of urban planning and I admire and respect his viewpoints. I also value his knowledge because I see my neighbourhood potentially getting hammered by redevelopment and gentrification on a level this community is not even remotely prepared for. I know of several occasions where Mr. Carra has had to deal with high conflict situations and while I don’t think he’s always been perfect I feel he’s done a good job overall. Councillor Carra was the second councillor I followed on Twitter (the first being Brian Pincott who found me first!) where I consider him to be interesting, helpful and a good communicator. Twitter happens to be my favourite social media venue - he can communicate where I am rather than making me come to him. Being a good communicator matters to me when we disagree on an issue. I don’t want to be written off, I don’t want to be spoken down to, I want to be informed about whatever information I’m missing that has convinced him. No, we don’t always agree, I respect that. We’ve never really had a conversation about what I want from Mr. Carra as my councillor. To me, it’s an easy question: I love my neighbourhood, as dysfunctional as it can sometimes be. We have some things that need to be improved - alleys for one, an out-of-touch CA for another. I don’t expect miracles, but making things better would be great. Otherwise, I very much want you to continue as councillor as before, and represent me proudly at City Council again. Thank you for making my choice for Councillor an easy one this year.